With savings of up to 70% over traditional telephone technology, as well as proven organizational increase in productivity of up to 50%, it’s no wonder that Gartner predicts that next year 50% of US business lines will be SIP (session initiation protocol) based. The VoIP (voice over internet protocol) market already boasts over 1 billion mobile users. But what exactly is the difference between these two internet based modes of communication, and how do you know which one is right for your business? We broke it down, providing simplified definitions of each service, a list of pros and cons, and the unique benefits each option has to offer given the nature of your business demands. VoIP is an IP based method of communication that relies on broadband internet to transmit voice data. The technology places and accepts incoming calls when the user’s device is on and connected to the internet. Well-known VoIP technology solutions include Skype, WhatsApp call and Facebook call. Such tools tend to be quite popular among users as they are free or quite cheap, and excellent for international communication, which can be quite costly when relying upon traditional phone lines. Many businesses have been switching over to VoIP technology providers not only due to the cost saving advantages, but due to the increased worker efficiency incurred as a result of convenient business features, such as: virtual receptionist, a mobile app and hold music. Companies use VoIP technology combined with SIP trunking technology to provide a more robust business communication solution. What Is SIP Trunking Technology, and Who Is It Right For? SIP trunking also relies on the internet for the exchange of data between parties, though SIP can exchange many types of communication data from a single platform, including but not limited to: video, SMS and alerts. SIP is advantageous not just because of the many mediums it integrates with, but because it can be used without having to be connected to a computer with broadband. Rather, it can connect directly with the user’s legacy phone and or mobile device. With the help of SIP technology, company employees can easily exchange documents, video conference, and send and receive instant messages from fellow employees across the globe, at minimal monthly cost. SIP solutions do have an initial setup fee associated with them however, and they require ongoing IT support. 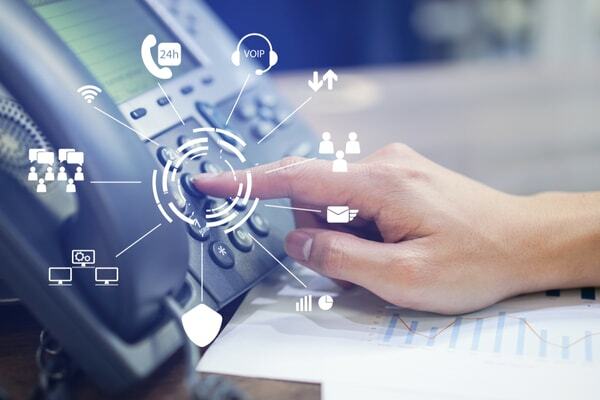 For that reason, the main VoIP business providers offer SIP technology in their business packages that they host and support on their own premises, or within the virtual cloud. This enables providers to offer business a large range of connectivity features and ongoing IT support, for just a small monthly fee, with no major installation fees attached. What Are the Key Differences between VoIP and SIP? Some of the more popular VoIP business solution providers include: Vonage, RingCentral, 8x8, Grasshopper, Jive and Onsip. We’ve detailed what each offer and why they make great choices as VoIP and SIP providers. When searching for a service provider, what services can you expect to find, and at what price tag? For as low as $19.99 a month, Vonage offers business users features such as: a call management system, call queueing, call tagging, call forwarding, voicemail diversion, fax integration, caller ID, caller ID block, cell phone integration, click-to-dial, click-to-call me, cloud pbx, collaboration, contact center, custom directory assistance (411), do not disturb, emergency assistance (911), follow me and 24/7 customer service and tech support. RingCentral offers plans for as low as $24.99 month, and in addition to the above features it has smart integration with CRM platforms like Salesforce, Desk.com and Zendesk, as well as video conferencing. Plans can also be scaled to serve 100+ users. 8x8 offers packages beginning as low as $19.99 a month, and along with the traditional features it offers 3rd party integration with a wide host of applications, including: Smartoffice, Salesforce, and Netsuite. It also offers users the option to integrate their contacts from Office365, Skype for Business, Gmail, Exchange and Outlook, making it easy to manage and keep track of large client lists. How Do I Decide Which Solution Is Right for My Business? If you’re an SMB looking for a simple, cost effective voice solution, so that you can place local and international calls, a VoIP solution is right for you. It’s free, or costs next to nothing, and allows your employees to communicate effectively no matter where they’re located. Keep in mind employee’s computers will need to be on, you’ll need broadband, and you’ll want to supply your employees with headsets, as VoIP technology alone cannot communicate with a regular phone. If you’re an SMB or enterprise organization looking for a multi communication platform, then a VoIP solution with SIP technology, such as RingCentral, Grasshopper, MegaPath , Vonage or 8x8, would be right for you. 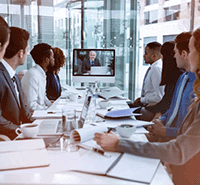 These solutions enable employees to connect via phone and SMS, as well as hold video conference calls. They are cheaper than traditional phone lines, and great for increasing worker productivity thanks to the myriad of features they include. Sales agents will benefit from click-to-dial, call queuing and call tagging. 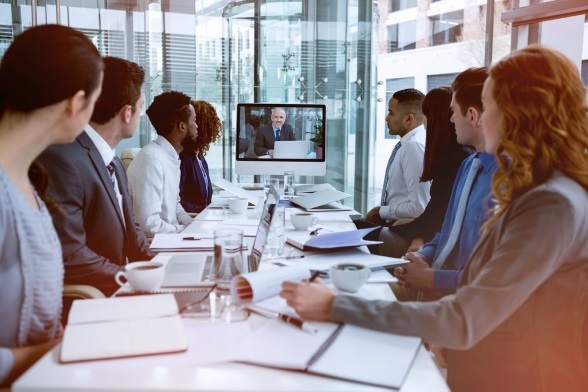 Marketing teams will benefit from web conferencing and SMS options, and support teams will benefit from caller ID, cell phone integration and voice mail diversion. To learn more about any of these and other Business VoIP and SIP solutions, read our in-depth reviews.